Visibility: A bit hazy but otherwise more than 20 miles. Wind: Mostly light and variable, at times none at all. Max Lift: 6 knots but mostly 2-4 knots. 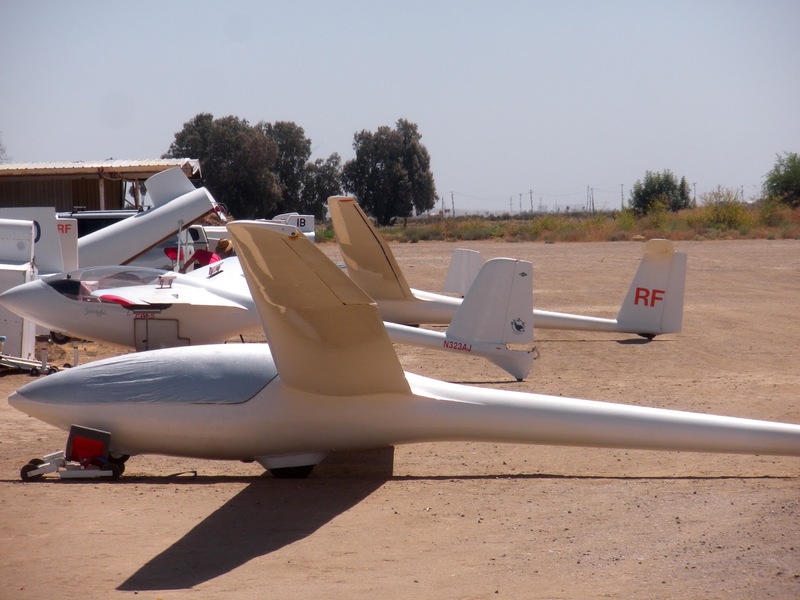 Comment: FAA Inspection day for experimental gliders. Tow pilot: Morgan Hall most of the day. Early morning saw a number of the high performance gliders out of their boxes but not assembled. 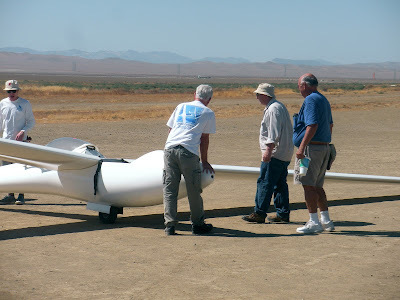 This is the annual inspection day where the FAA comes out to examine the paperwork that must accompany each of the gliders that are classified as experimental. All worked out well for the pilots and their gliders and the FAA representative went away satisfied. It wasn't a very busy flight ops day. 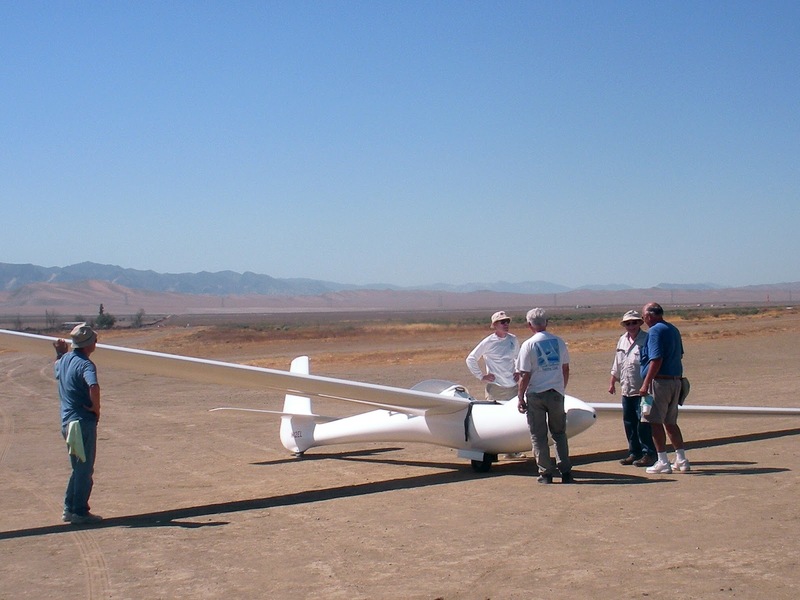 Most of the experimental gliders were put away after the FAA inspection, all except for Mike Paoli and his Libelle. 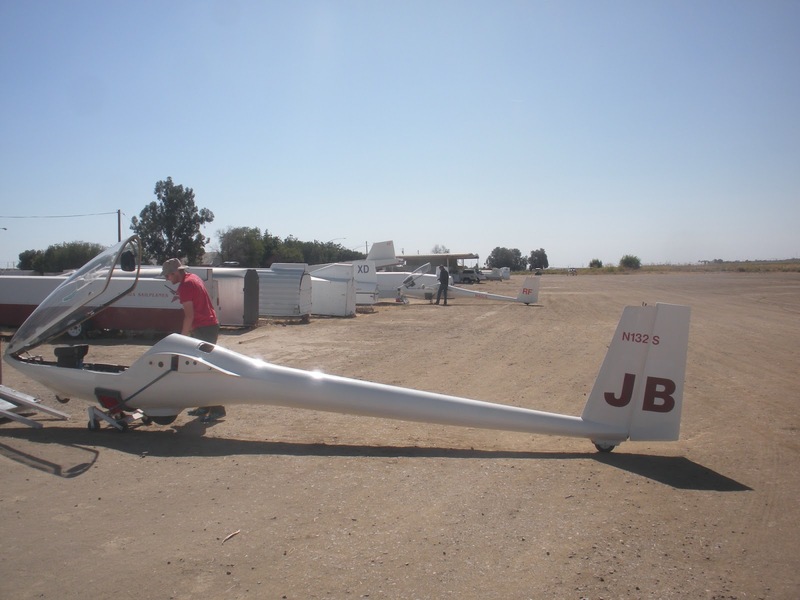 It seemed like Mike was going to fly his glider for the first time after his purchase of it some weeks ago. 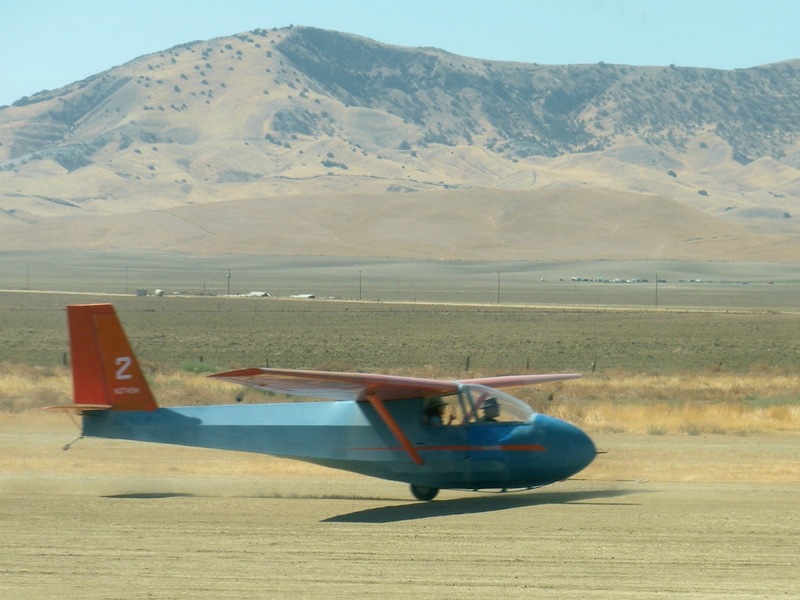 First aloft was Dan Gudgel beginning the training of a young man, Lukas Pritchard, who brought along his entire family to watch the proceedings. 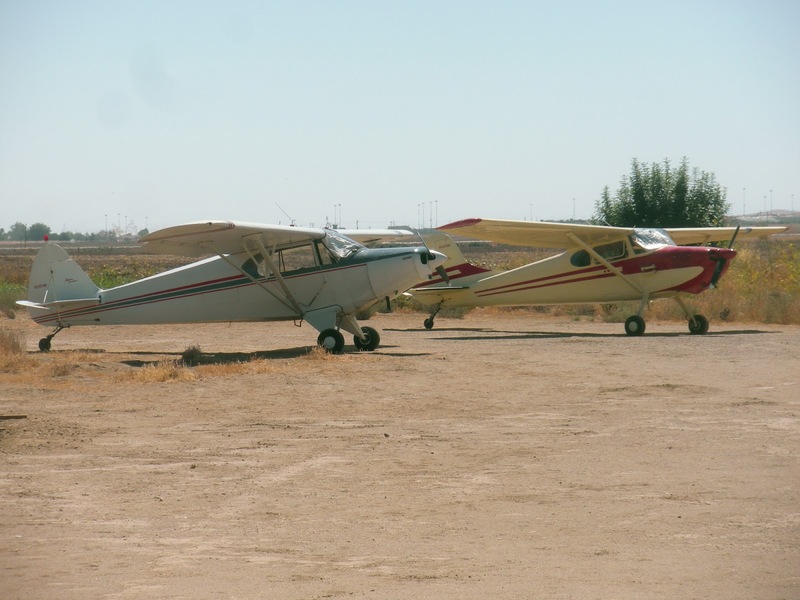 It sounds like maybe there will be follow-on flights for a complete training cycle. Let's hope so since the young man would be a great addition to our training group. 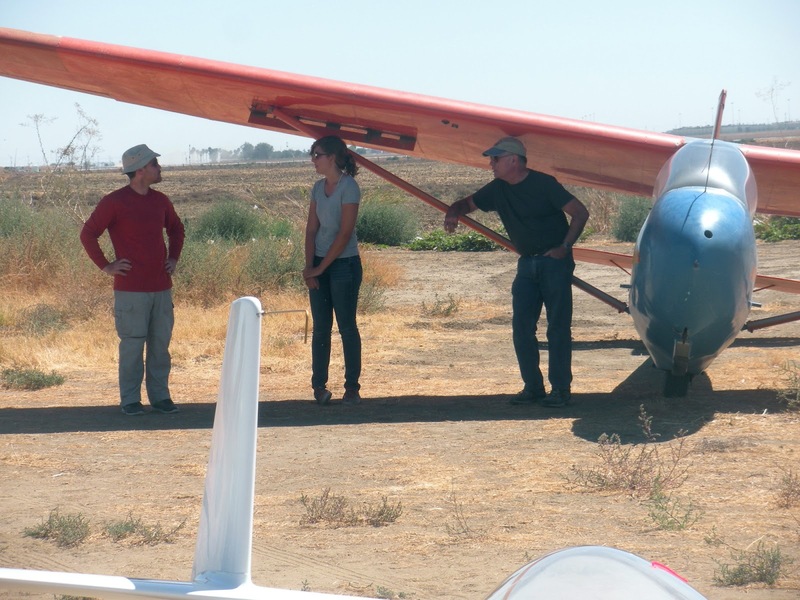 Next up was Mario Pauda who brought his lovely wife, Blanca, to the airport for her first glider ride. Since she has been flying with Mario in power planes, this was a good chance to compare the two. She really enjoyed the flight, especially for the quiet and the smoothness of the time aloft. Mario Pauda on tow with his wife, Blanca, in the back seat. 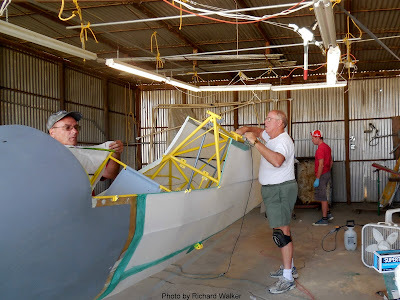 The guys in the hangar shop were working on the Big Bird very early. 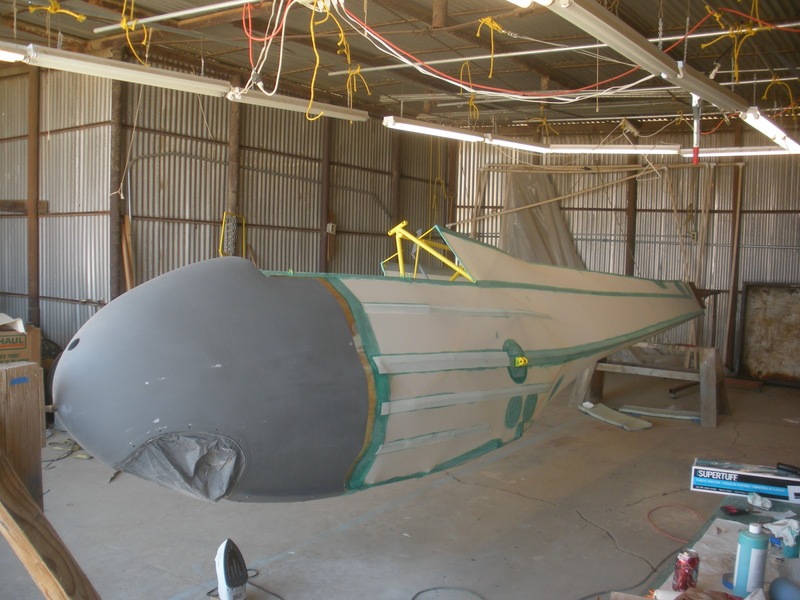 As shown, they are making progress and have the fuselage fully covered. Much remains to be done but at least it's beginning to look like a glider again. Some detailed work is required but then the paint layers begin to be added. 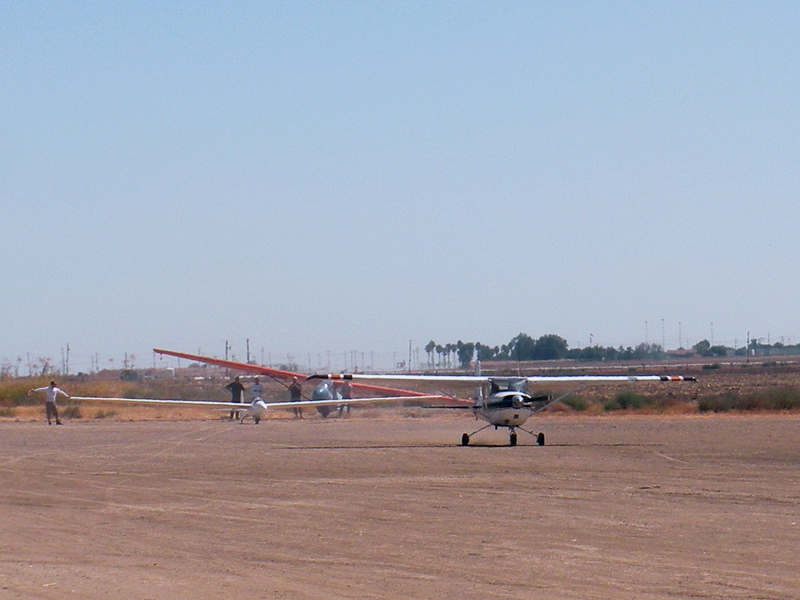 Now that's where power planes should be, off to the sidelines while watching the better aircraft fly. The fuselage looking better and better and may be ready for some paint. 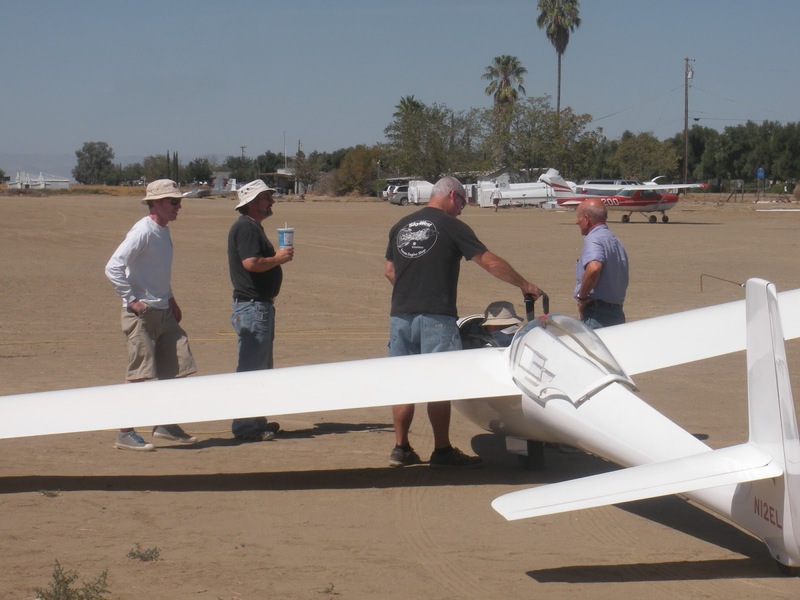 Assembled and ready to fly, Mike Paoli and Pancho Herrera discuss last minute details. The rogue's gallery in the background were giving "moral" support. 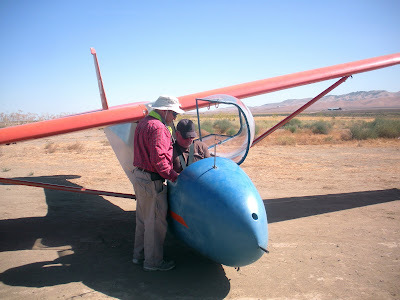 Mike is almost ready to launch in his Libelle. 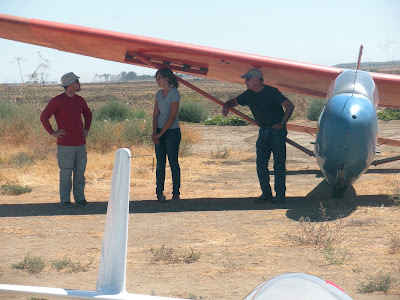 Morgan Hall, Jennifer Bauman and Karl Kunz chat about Mike's flight and stay out of the sun. Jeff Richardson and Pancho. 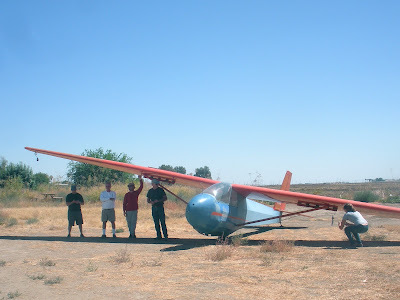 Does it take two to help launch Mike? Nope, it takes four. Pancho, Joe Anastasio, Jan Zanutto, and Dan Gudgel. The gallery has turned into five. Sergio Grajeda, Jeff Richardson, Morgan Hall, Karl Kunz, and Jennifer Bauman. Jennifer Bauman is photographing something but you'd rather not know. 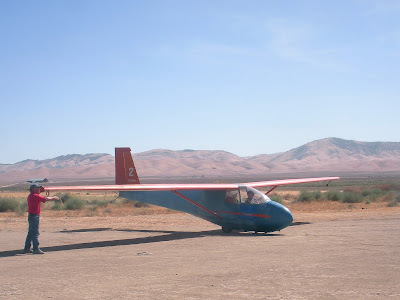 Wings up, tow rope tightened, Mike is ready for his inaugural flight. 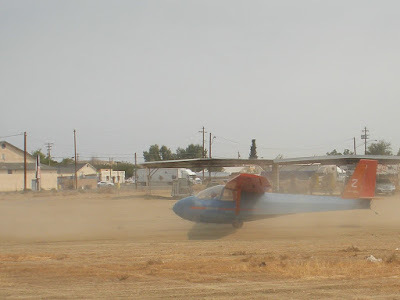 In the dust Mike is in good position behind Morgan in the tow plane. 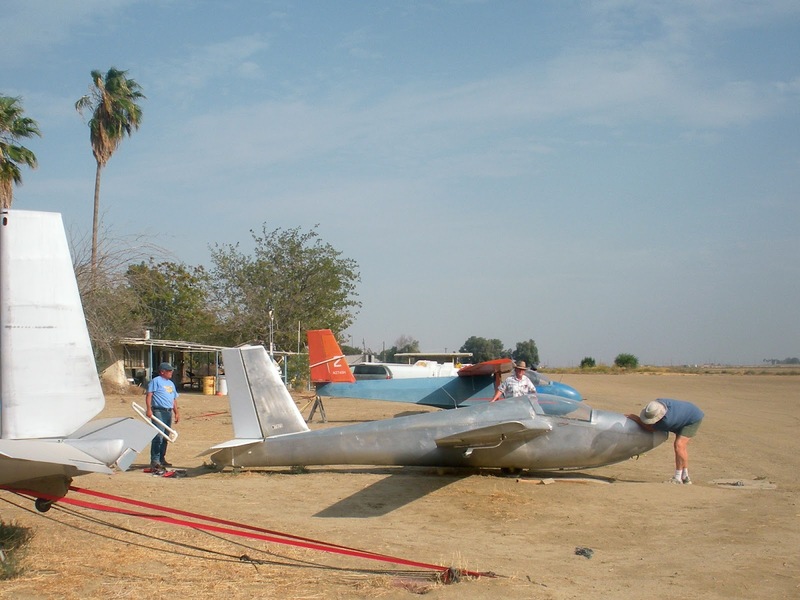 Looks good, steady, in line with the tow plane. Mike does it well. 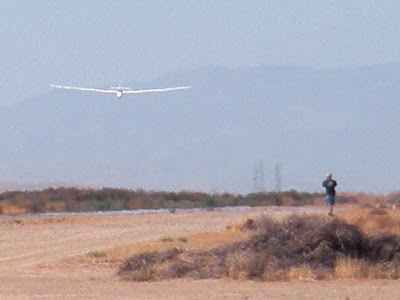 Jan Zanutto watching Mike as he returned to the field after a good flight. 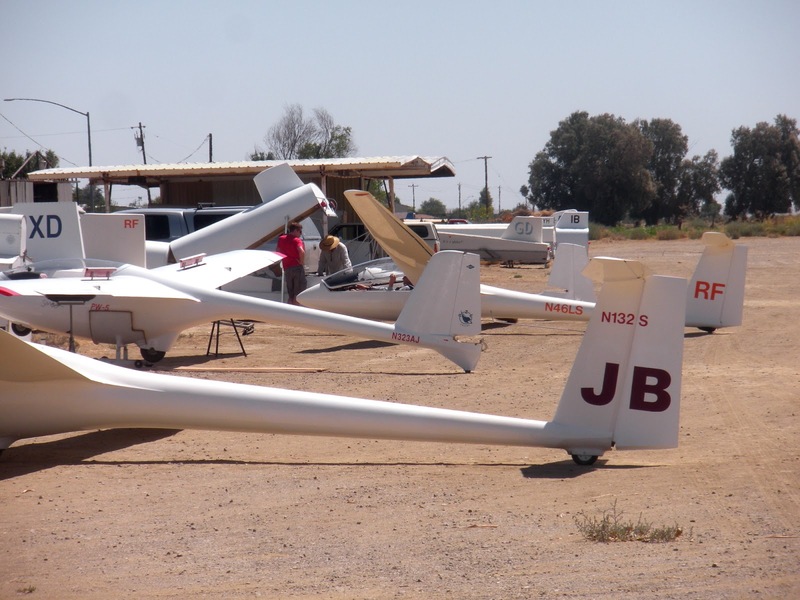 Mario Pauda decided to refresh his knowledge of flying the 1-26 as he used to do years ago. It took four to launch Mike and another four to receive him after the flight. Yutaka Buto holding the wing. Turning the glider around so Mike can try another flight. He did and did it well. 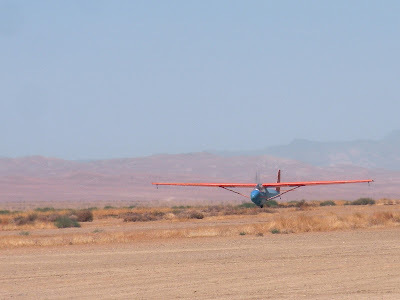 On tow in a really good position half way down the runway, Mike masters the Libelle. About mid-day, Jeremy Stanley flew his Cessna 150 to Avenal to work with Dan Gudgel on tow pilot training and checkout. 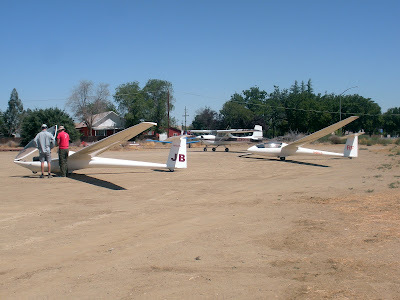 They flew several times both high tows and pattern work and at some point we'll see Jeremy flying our Cessna in front of our gliders. Welcome to the club, Jeremy. Jeremy Stanley arriving in his Cessna 150 in the background as Jeff Richardson walks to Mike Paoli's Libelle. Jeremy Stanley and Dan Gudgel on tow for one of his checkout flights in the Orange Crush. Mike Paoli on another flight in his Libelle. I guess he likes his glider. Yutaka Buto returning to the field on runway 13L after a reasonably long flight. 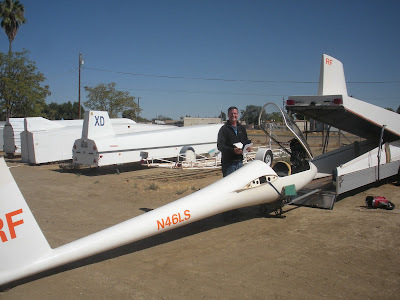 Alex Caldwell's Nimbus 3 not assembled for the day. 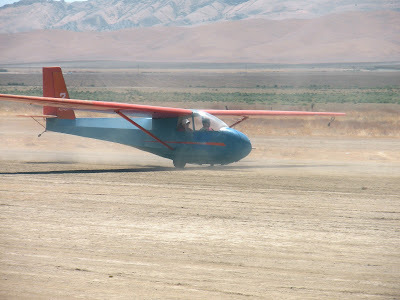 Alex decided the thermals weren't worth the effort. 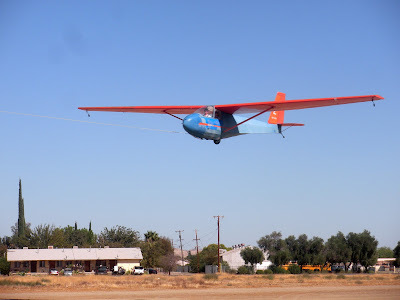 While it wasn't the busiest day for flight ops, those who went aloft had fun and at least could remain aloft for several hours as long as the glider wasn't needed by the next scheduled pilot. We expect to see more of you next week. The weather should be really nice and cool. Temperature: Late 80's, low 90's. Comment: Cooler day than it has been in a few months. CONGRATULATIONS TO MARIO PAUDA ON HIS BIENNIAL FLIGHT REVIEW. Normally it's not a big deal for someone to get their BFR but in this case, Mario hasn't flown in awhile and needed a BFR to resume his flying career. He's a power pilot and a glider pilot but there weren't any gliders in his recent past and so needed a few more refresher flights to regain currency. 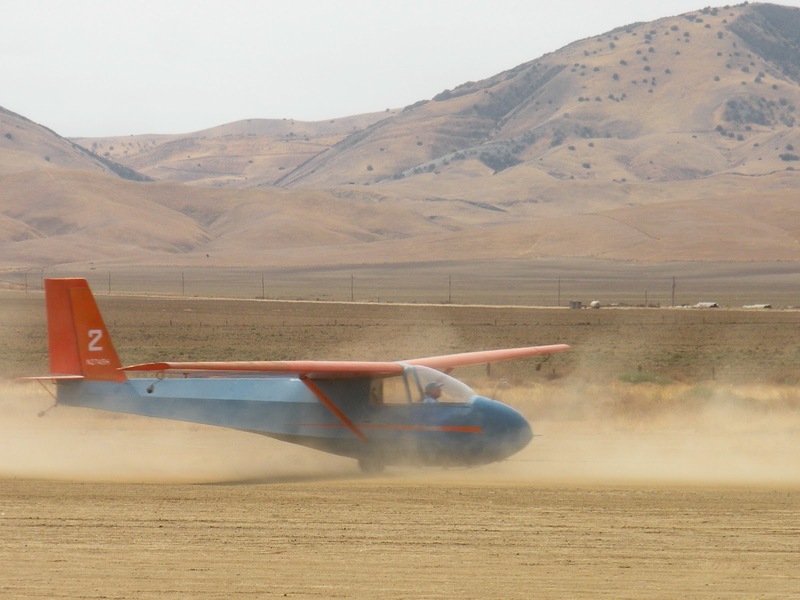 He did very well and with very few exceptions due to skill rust, he's back flying again and having fun. First up this morning was Rick Eason, which isn't surprising since he prefers to fly early mornings and has done so all during his glider add-on rating training with Dan Gudgel. 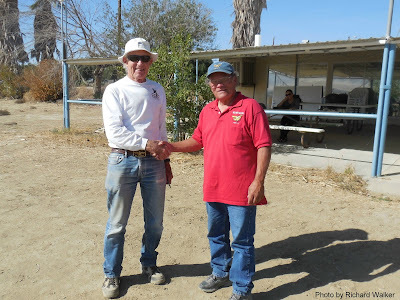 Rick won't be back at Avenal for a few weeks due to business commitments, but we can count on him to return to Avenal with enthusiasm. 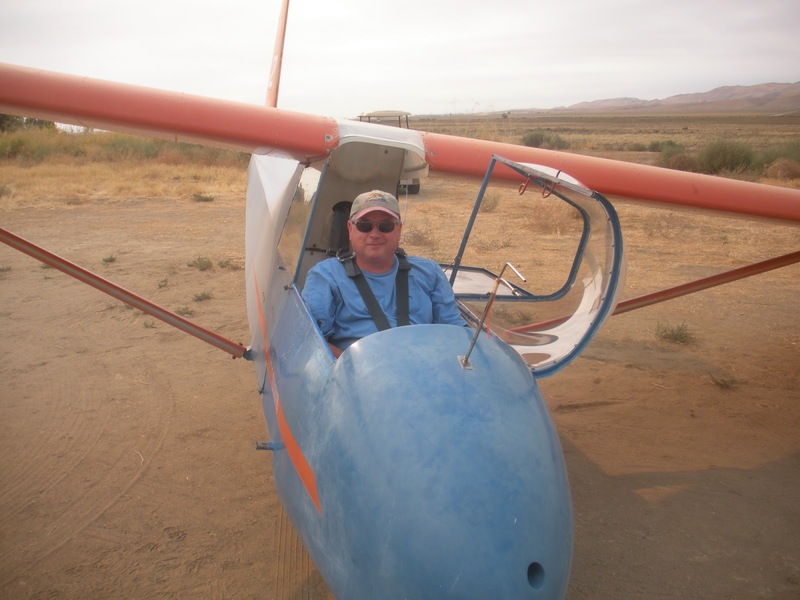 Rick Eason ready to launch on the first full day of being a Commercial Pilot - Glider. 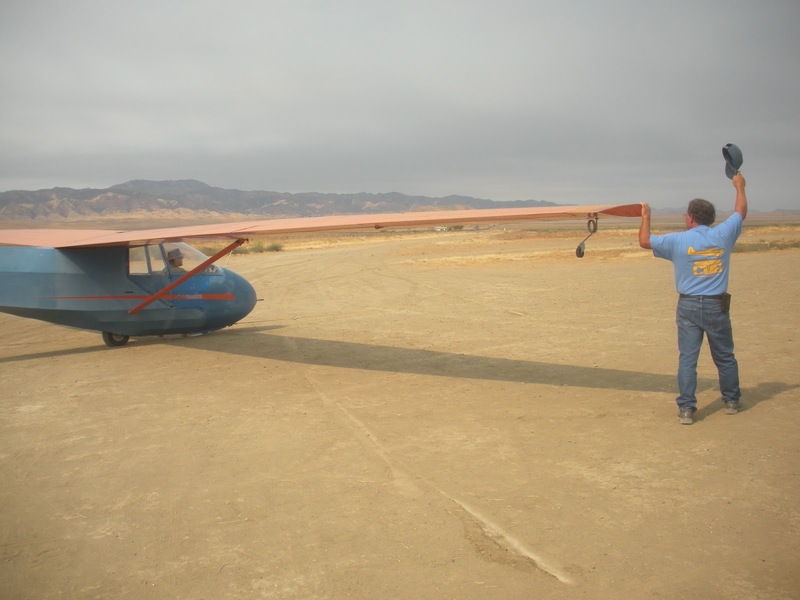 About mid-morning, Mario Pauda finished his BFR and couldn't wait to go flying alone. 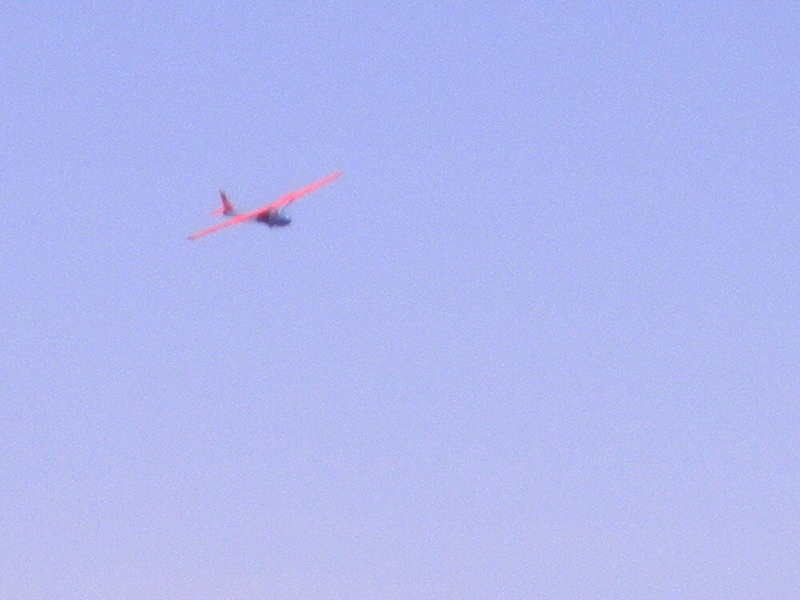 So, off he went and was able to remain aloft quite some time, although not as high as he would have liked. The thermals just weren't strong enough to get much above 3800 msl in late morning. Ed Mandibles signals the tow pilot for takeoff with Mario alone in the Orange Crush. 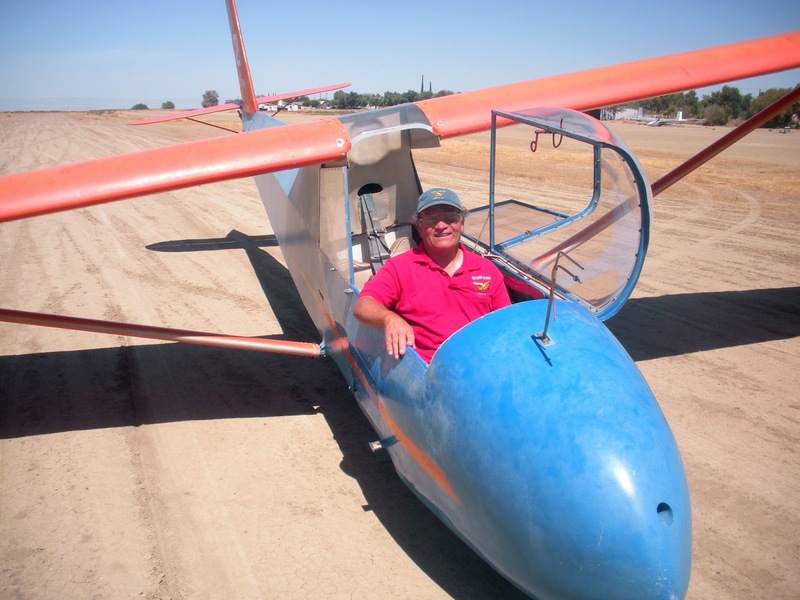 Once Mario had flown, Ed Mandibles, who soloed last weekend, flew the Orange Crush for several flights today just having fun. He stays aloft long enough so that we have to use our cell phones to retrieve him back down to earth for the next pilot scheduled. 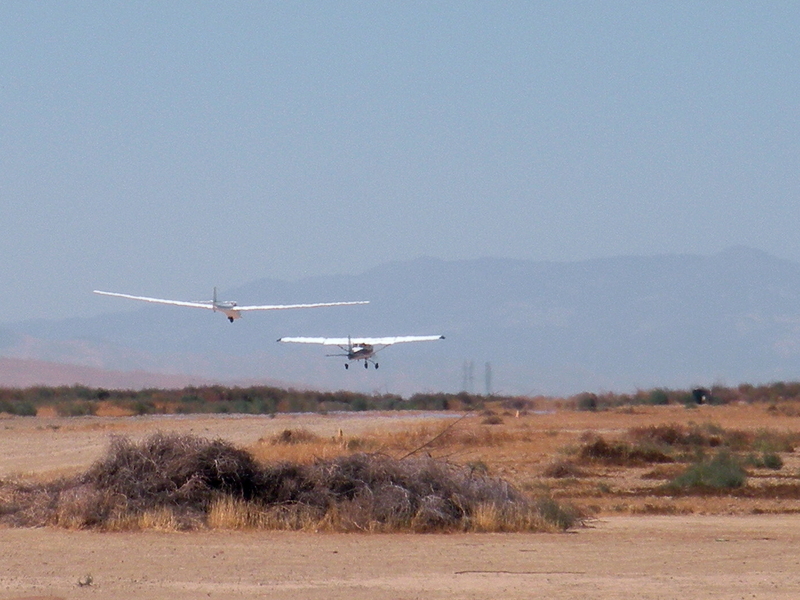 Ed Mandibles on takeoff for a series of solo flights today. On this flight, we had to call Ed Mandibles to come down. He loved staying in lift. 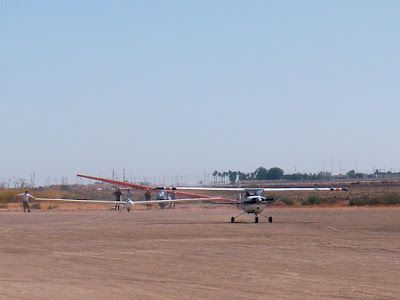 We finally got Ed back on the ground for another training flight scheduled for Alex Caldwell and Sergio Grajeda. 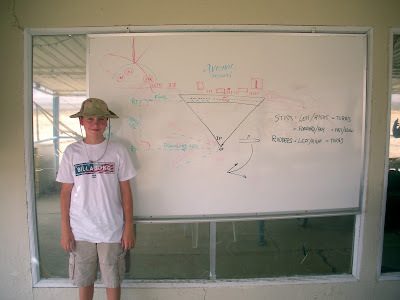 Another young man in the mold of Jack Weigand, Tyler Bishop, and others, Clark Woolf, started in full today in his training to become another of the young persons to solo on their 14th birthday. Clark is 13 and has more than enough time ahead to easily become proficient enough to solo on that magic day. His Mom, Sarah, came with him, and supports his training with encouragement and confidence. 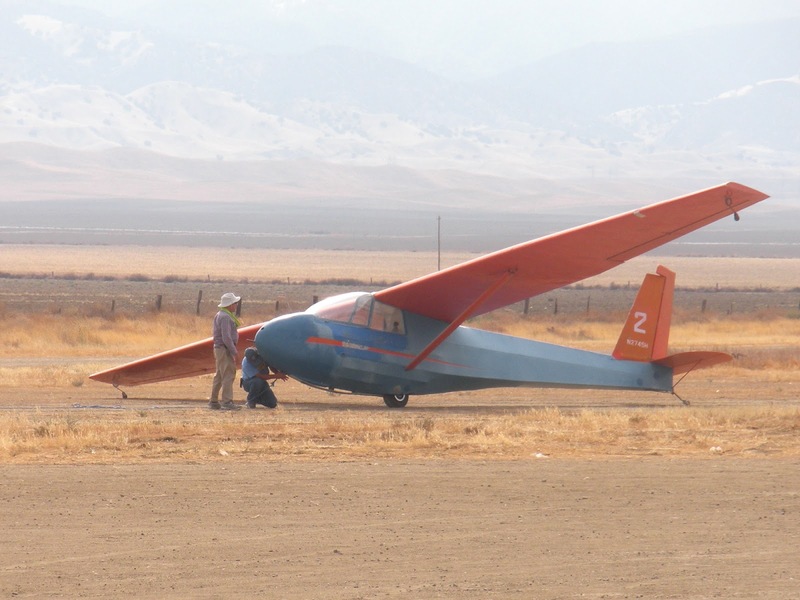 Clark Woolf after a ground session prior to the formal start of his glider training. Clark doing an excellent job of thermalling even in the weakest thermals. A good start to his training. With just a little prompting, Jim Rickey decided to fly the 1-26 even though it was later in the afternoon. He didn't think the thermals were good enough, but after remaining aloft for quite some time, he was convinced the flight was worth going on. His was about the last one aloft since Alex Caldwell and Sergio Grajeda had landed a bit earlier. That proved to be the end of the day and those who were here, had fun. Jim Rickey is securing the 1-26 with the help of Ed Mandibles and his buddy, Mike Madrid, from Lompoc. Visibility: A bit hazy but still more then 30 miles. 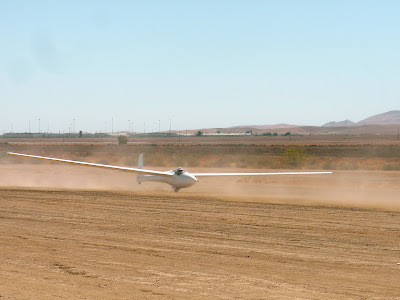 CONGRATULATIONS TO ED MANDIBLES ON HIS FIRST GLIDER SOLO. A beautiful day here today, much nicer than last Saturday. It was more than warm in the sun but very nicely cool in the shade. Starting the day of flight operations was Alex Caldwell training Sergio Grajeda. Sergio is determined to solo as soon as possible and Alex reports that he is making good progress. 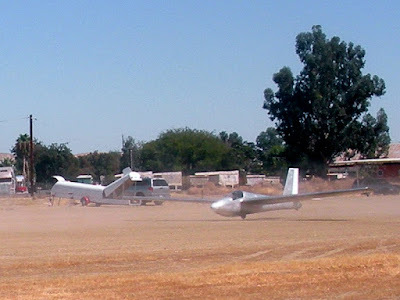 Sergio Grajeda and Alex Caldwell launching on a training flight. 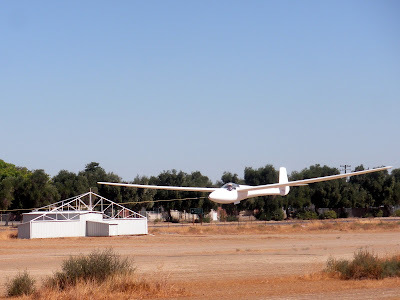 Next up was Ed Mandibles, a power pilot with some previous instruction in gliders. Ed has made such excellent progress in training that I knew he would solo today.After a high tow to box the wake twice, then prepare for the quick turn on a simulated rope break, we then tried such a maneuver at 200 agl. Trouble is, for the first two attempts, we weren't high enough too far out to get a good break. It took two more launches to get enough height close enough to get the break at 200 agl. We did it, and Ed performed very well. 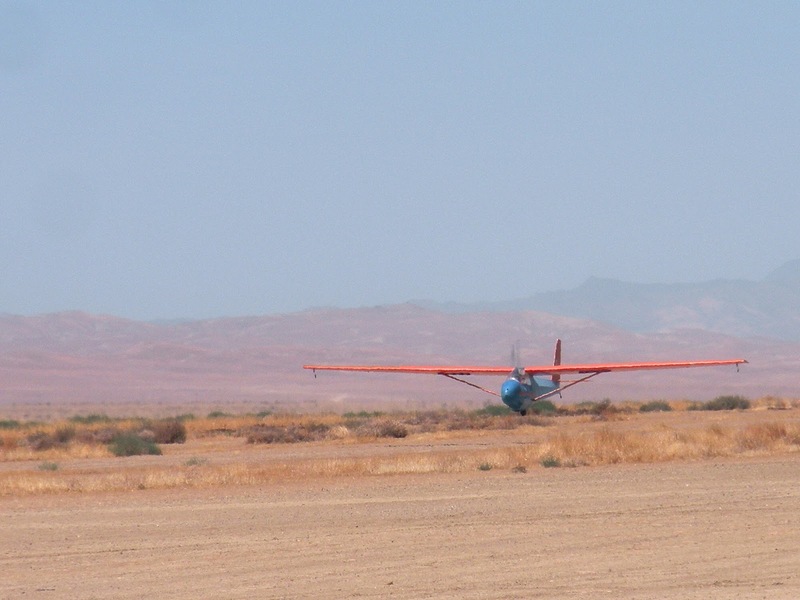 At that point he was ready to solo, And of course he did his three flights very competently indeed. 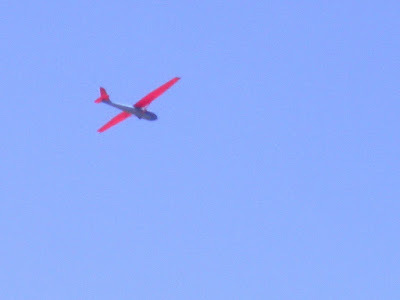 Later on in the afternoon, he went for another solo flight and was up for 42 minutes in sight of the patio, and enjoying himself immensely. He could have been up much longer but another student, Mark Neal, was scheduled in the Orange Crush. I called Ed on his cell phone and he came down right away even though our daily schedule was delayed by nearly 90 minutes. Great going Ed, and I'm sure you'll love our world of glider flying and soaring with the ravens. Ed Mandibles is ready for his first solo glider flight. 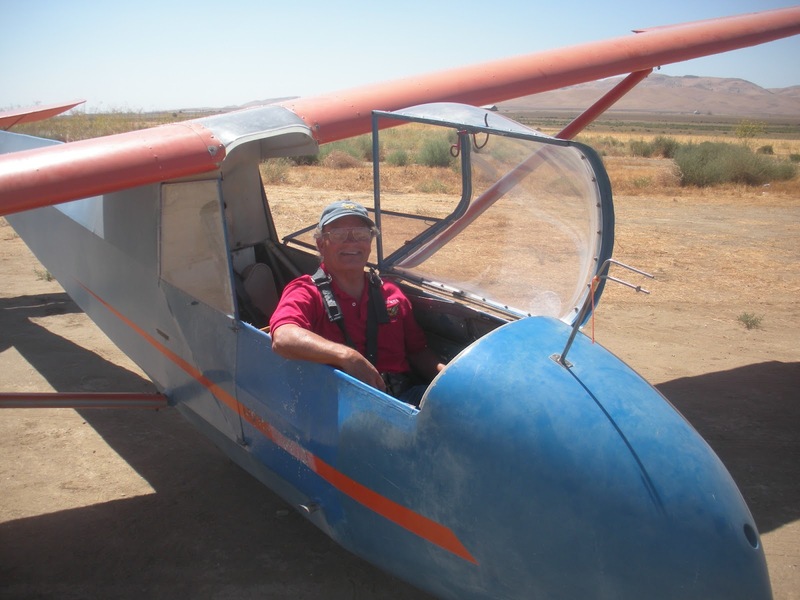 He has been a power pilot for many years. Ed Mandibles on tow over the field enroute to the IP for release. 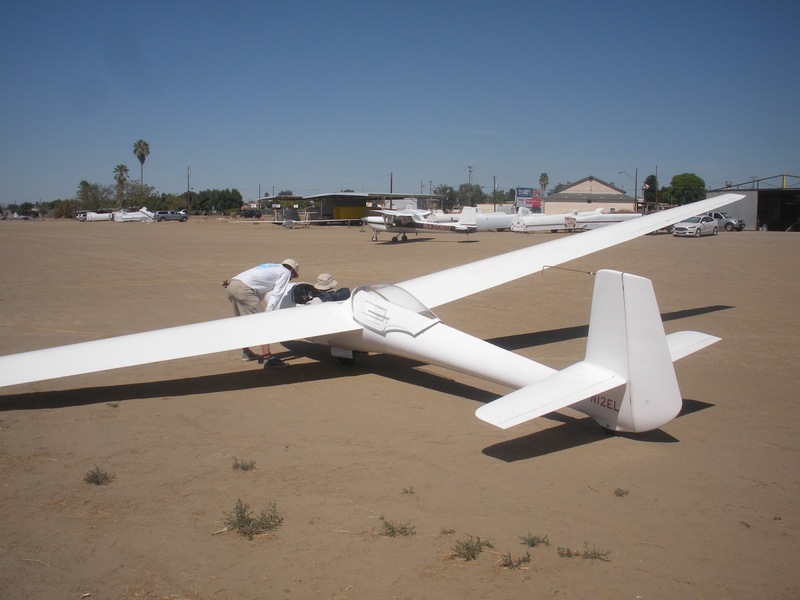 Ed is over the IP ready to turn downwind on his first solo glider flight. Ed is turning final for runway 13R and in very good position for landing. 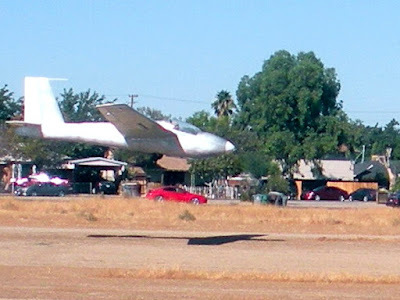 Ed is lined up on runway 13R just about to touch down in excellent position. Ed Mandibles is one happy guy. He's wanted to fly a glider solo for a long time now. Today the work continued on "Big Bird." Two weeks ago the fabric was put on the bottom, the toughest side because of the curves. 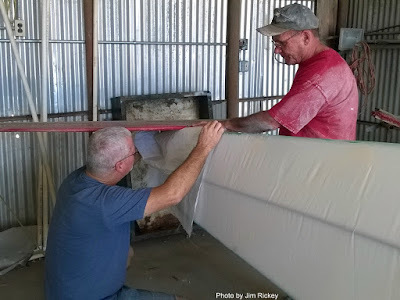 One week ago fabric was put on the "port" (left) side. Today fabric was put on the "starboard" (right) side, the last side since there is no "top" as the port and starboard sides meet at the top tube of the frame. All fabric has now been installed. 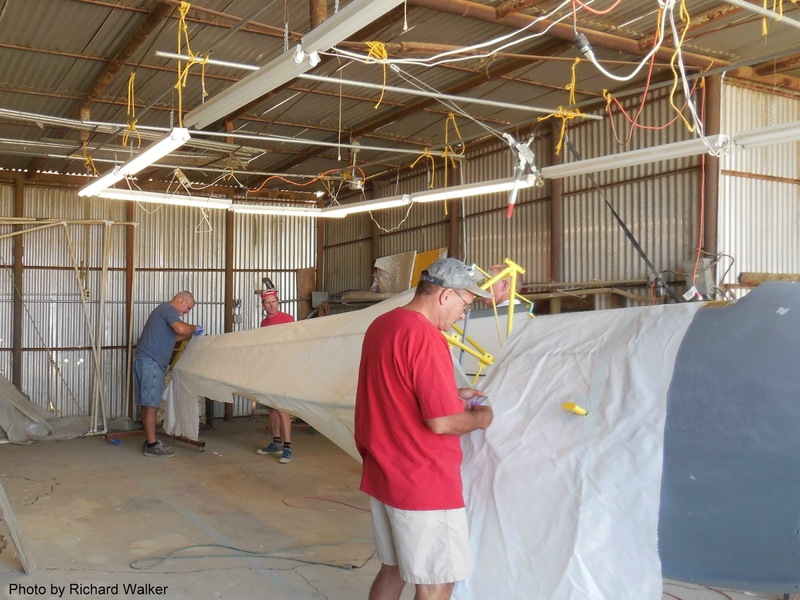 In the picture the horizontal stabilizer and elevator have been temporarily installed to help Jan Zanutto and Larry Johnson position the last piece of fabric on the fuselage. This piece will have the cutout for the elevator actuating rod to pass through the skin of Big Bird. In this picture the fabric on the starboard side has wrinkles and waviness in it. The starboard side will be ironed to shrink it tight next Saturday the 12th--ironing goes very fast and will only take about 15 minutes. Then the scary part happens--holes will be cut into the nice, new, tight fabric to install inspection/access rings. Progress is happening slower than hoped for, but it is moving forward. We are not giving estimates of completion by a certain date. As has happened, and may happen again, when one of the other aircraft in the fleet goes down, it gets priority to get it back in the air. When this project is done, we should have a very nice and trouble-free SGS 2-33A. Jan Zanutto, Pancho Herrera, and Larry Johnson all determined to finish Big Bird soon. 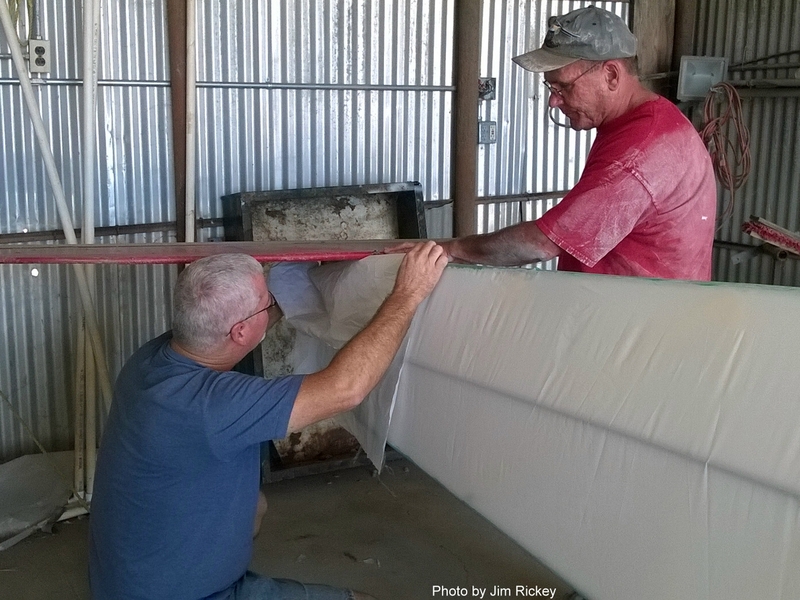 Now Jim Rickey is in the picture since he's been working on the fabric along with the others. 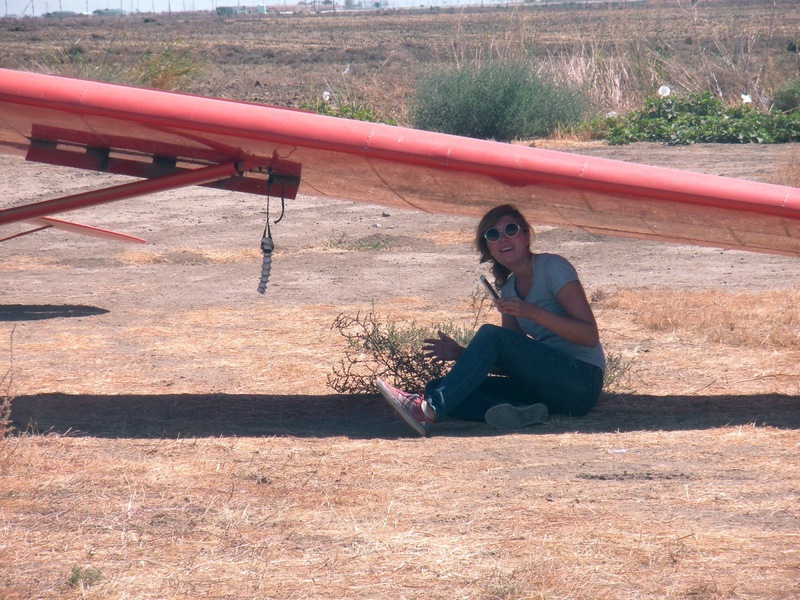 Working on the fabric at the tail section is a bit trickier than the rest of the fuselage. 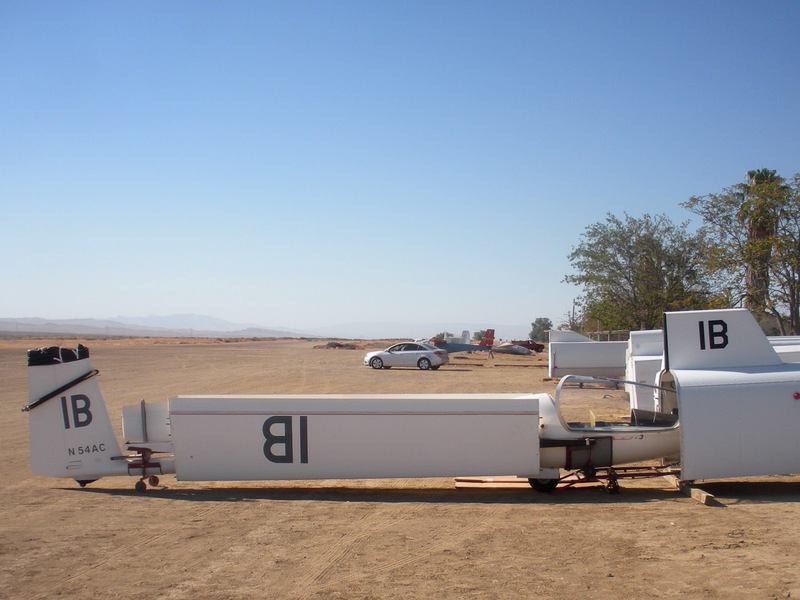 Early in the morning, Carl Engel and his friend from work, Bill Shoemaker, showed up towing a glider trailer inside of which was Bill's LS6. 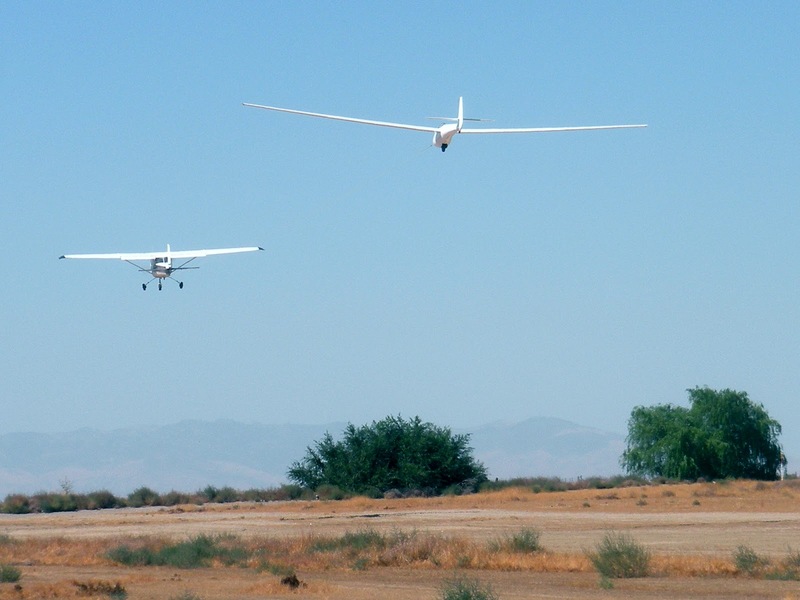 It looked like a fun day for the two of them to soar together, Carl flying Julie's previous glider, DG100. They weren't in any hurry to assemble them since the day was unusually cool and the thermals weren't going to get going until after lunch. Carl Engel slowly working on the DG100 for an afternoon launch. Bill Shoemaker assembling his LS6 that he has been flying out of Hollister. Sometime after lunch, the assembly line got busier in anticipation of thermal production from what we were seeing as a few tiny dust devils. 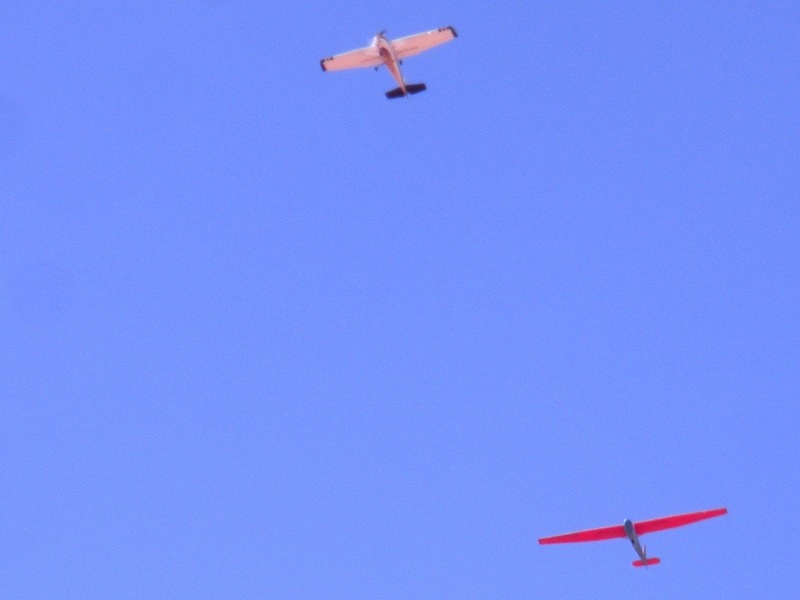 Not great encouragement but these guys can fly with even the smallest thermals. Carl's DG100 is ready and Joe Anastasio's PW-5 is nearly finished, as is Bill Shoemaker's LS6. Beyond the LS6 is the tail of Mike Paoli's Libelle. Pancho Herrera and Mike Paoli are comparing notes. Now the high performance ships are ready to launch and Carl Engel is first in line. 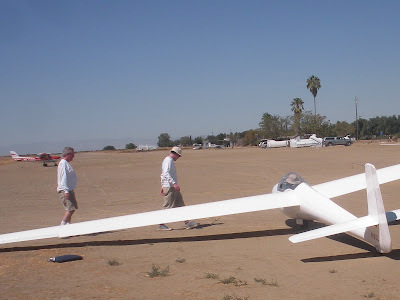 Right behind is Bill Shoemaker's LS6 and later on, Joe Anastasio and Richard Walker each launched on what turned out to be fun flights but not necessarily long range. Joe topped out at 4200 msl but no more reports were turned in from the other pilots. 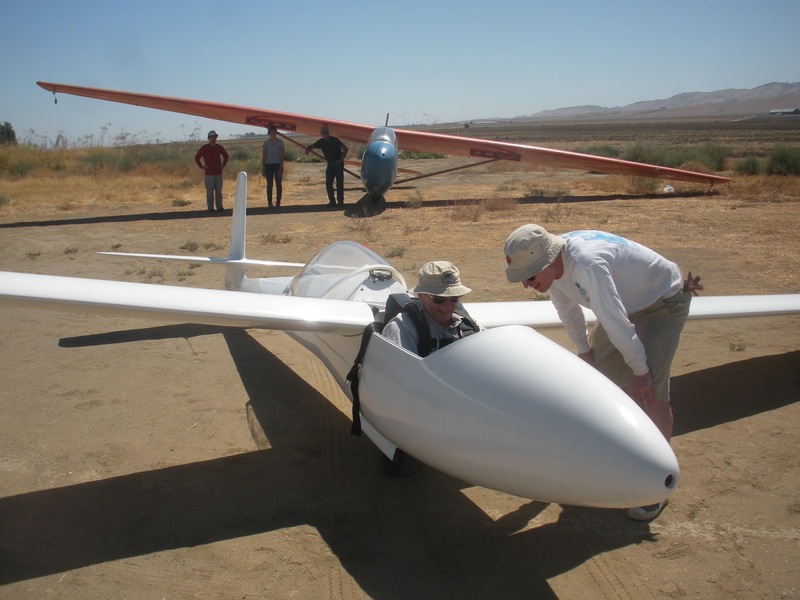 Carl Engel is ready and Bill is next in line for launch. About 2 pm, Mark Neal and his lady, Sandra, arrived for another training flight for Mark. 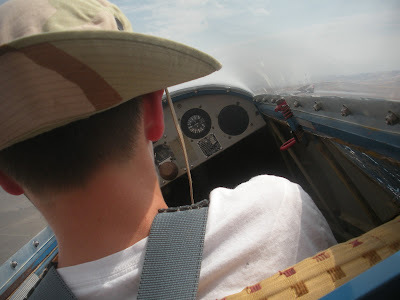 This time, his flight instructor is Alex Caldwell and they were prepared for a nice long flight. 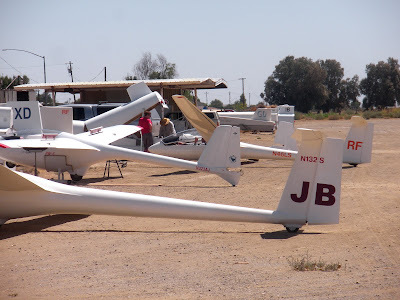 But they had to wait for my student, Ed Mandibles, who took a fourth solo flight and was in the air about 42 minutes just having a whole lot of fun. 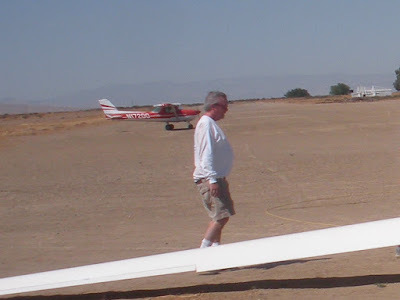 Ed finally came down after I called him on his cell phone but he could have stayed aloft several more hours. Thankfully he agreed to cut the flight short even though we all got a 90 minute late start this morning. Pretty darn good for his fourth solo flight. 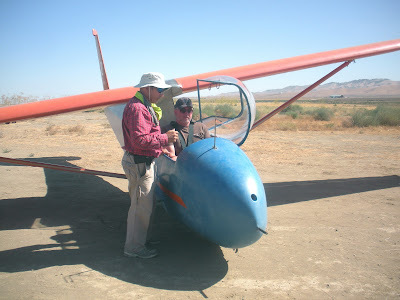 Alex watching while Mark Neal secures his seat harness. 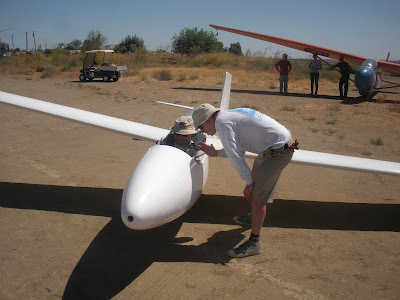 A few words of advice and Mark is ready to launch with Alex. Now they're ready to launch with Ed Mandibles running the wing. Sometime after 3 pm with the high performance guys still in the air, we had one more project to complete. Ed was a good sport in allowing his nice polo shirt to be cut up. Actually he had no choice since the lose the shirttail of whatever they are wearing when they solo. He took it all in stride. Congratulations again, Ed, and welcome to a silent world you will really appreciate. It was a pretty nice shirt but no more. Ed looks glum but he was happy to solo. 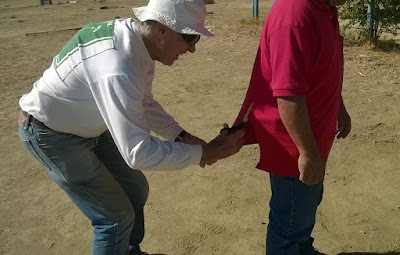 Actually it's fun carving up someone's nice shirttail. Ed says he has another one or two at home. 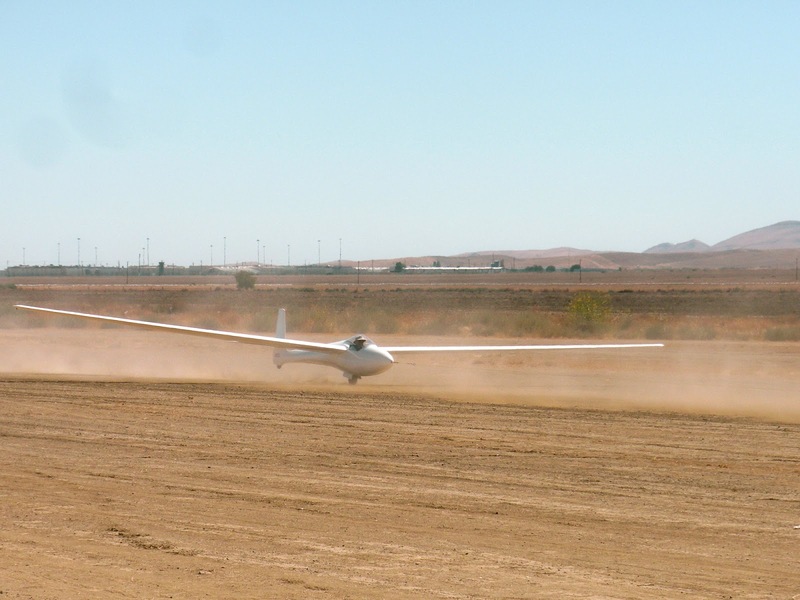 CONGRATULATIONS TO OUR NEWEST GLIDER SOLO PILOT, ED MANDIBLES.